Keep your pubs bathroom facilities looking fresh and clean with one of our industry leading pub hand dryers. They have been developed using pioneering technology which has resulted in them being the best on the market and they withhold the globally recognised ISO standards. Every single unit is powerful, hygienic, eco-friendly and cost effective which has resulted in us being accredited by The Carbon Trust. Their advanced features include brushless motors; however, they have running costs of less than 0.02p meaning you could save a lot of money on fuel bills. We have installed units in pubs all across the UK, such as The Old Red Lion Pub and Theatre in Islington. Our Gorillo Pro hand dryers have made a massive difference to their washroom facilities. They said that it’s been a great investment, as it actually dries your hands properly, as oppose to generic units. Even their regulars have commented on the quality of them! 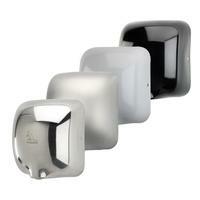 Take a look at our hand dryers that are suitable for pub washrooms.